Poplars are spectacular trees with a very strong set of roots, which affords them the symbolic value of grounding, security and resiliency. They’re also an independent lot, leading very little care, if any, to grow healthy and hardy. Light workers tell us that Poplar is a bower of possibilities and manifestation. 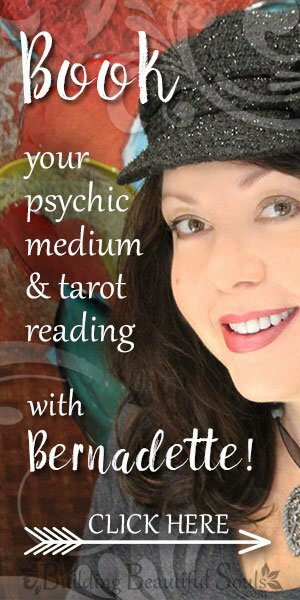 When you need something quick, Popular spirit can often support that goal within one turning of the Wheel. 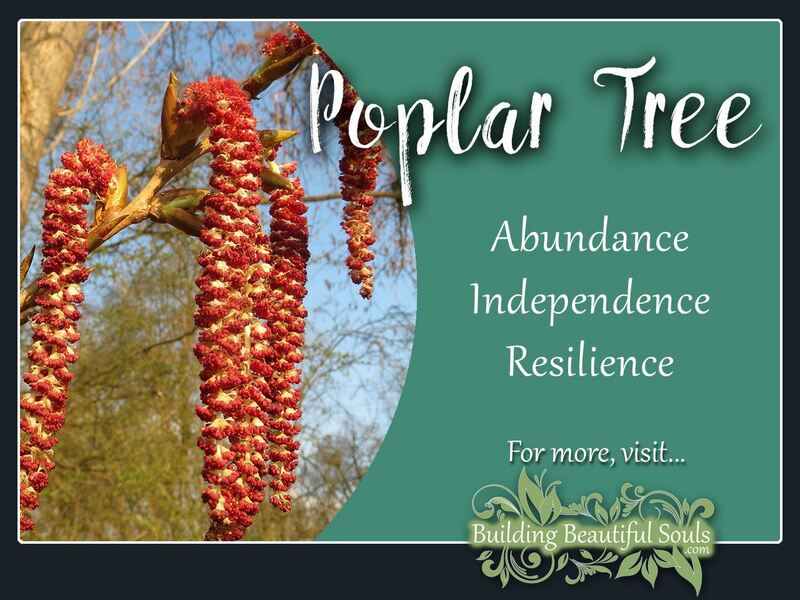 Poplar vibrates with strong Earth energies including those associated with finances, providence and the uncanny ability for humans to overcome even the most difficult of blockages. Some feel that listening to poplar leaves when the breeze blows gently is one way to get messages from past lives, our Higher Self and the Divine. In Celtic symbolism, Poplar shows up as one letter in the Ogham Alphabet, consisting of 20 images. Each tree represents specific energetic characteristics. Edad is letter for Poplar (sometimes Birch), which represents our uncertainties and fears often with regard to matters of security. In Celtic Runes, Poplar is represented by Berkanan (again tied likewise to Birch). In this divination system it represents fertility, promise, youthfulness and plenty. This seems like it conflicts with the Ogham, but if you consider how many of our human doubts tie to these mortal matters, the two illustrate a dichotomy that is common in many symbolic languages. While poplar comes in other colors most people think of the white, textured bark of this tree when they think of Poplars. White is a pure color, often used to represent things that are untainted and wholesome. However, the Poplar’s bark has groves and darker spots. The meaning we can gain from this is that none of us is without fault. We grow and learn, and get wrinkles along the way, but can still become a thing of beauty. Straight and narrow – that is the message of the Poplar; stick to it! Get yourself grounded in truth. It’s a position of power. It may also portend happiness and prosperity. You can learn more about trees appearing in your dream by referring to our dream dictionary. Poplar gets its name from the genus (Populus). This name dates back to the roman custom of using poplar on the edges of public meeting spaces (another tie to kinship). Folk remedies recommend spring harvested Poplar bark as a general tonic, particularly to allay fever and diarrhea. It has astringent, antiseptic and anti-inflammatory qualities. When used as part of the Balm of Gilead, poplar buds stimulate. In tea they clean out kidneys. Poplar tree sap makes a good external ointment for bruises. In combination with Black Cohosh and Celery and made into a tea, this improves digestion. Poplar wood or incense made from its wood is used frequently in magical workings for change and success. It carries the vibration of foresight, protection, diligence, powerful speech, renewal and healing. Note that the Balm of Gilead includes Poplar as a component. Healers carried this in their kits often giving to those who suffered broken heartedness or grief. As an element in charms, Poplar features regularly in protective workings getting this symbolism from its early use in shield making. Carrying a poplar charm or talisman also attracts money and solid financial foundations. Practitioners who astral travel use Poplar leaves as an aid along with adding poplar to flying ointments. The Poplar spirit is a keen guide into the world of divination and seeing true, as well as a bridge-builder between Earth and Spirit realms. Practitioners from various magical traditions like using poplar in divination wands and pendulums. Beyond this, the Poplar tree appears in Celtic Tree Astrology as an emblem of confident choices, creativity, organization, reliability and trust. In Numerology Poplar reduces to 6, which is a harmonious number reflecting health, safety, education, community, and strong ties with the Great Mother. As sure as the Poplar roots hold it firm, the 6 vibration further supports group togetherness. Under the shade of a Poplar families or groups come together. This is an ideal location for rituals focused on forgiveness, justice or bonding. Poplar, like the 6 is also a good confidant. If you need a good cry or just to vent, seek her out. One Greek story tells of a nymph by the name of Leuce. Pluto loved this creature, and when she died Zeus made her into a White Poplar that would live forever in Elysium. We’re told that Bacchic Rites included celebrants wearing Poplar leaves honoring Deities of the Earth. It was sacred to Zeus and used in offerings, and Persephone also held it sacred. Some students of myth claim that the poplar leaf became whitened by Herakles sweat. Robert Graves in the White Goddess speaks of poplar as part of a resurrection trinity along with cypress and alder. Going further into Greco-Roman lore, we find a story of how the Poplar got its shape. Apparently it used to look like other trees, always striving to spread its branches further. One night a thief sought to hide the rainbow’s gold and thought the Poplar offered the perfect spot. Iris upon discovering her gold missing sought her father Zeus’ aid who sent Mercury searching. Mercury went into the forest and stirred the tree spirits. He asked if any had seen the gold. They all said no. Mercury then asked that all the trees hold up their branches so he could look. Sure enough the gold fell from the poplar’s branches. The tree spirit was greatly surprised and promised from that day forward to always hold his branches up so none could keep things hidden secret. This is why Poplar is considered a tree of honesty and decency, his branches as upright as his soul.